Last year, I contacted the Harris County Records Management department to request the Harris County Archives Collection information about my home at 1827 Norfolk Street. After about a month long wait, they mailed me the information free of charge. The packet contained tax and sale records from 1939 to 1972. In 1939, our neighborhood was called “Richwood” and my home was valued at $2,430. In 1967, the value was up to about $5,400, including land and property. There’s also a photo from what I believe is in the 60’s or 70’s showing my house looking almost exactly the same; the only differences are the neighboring houses, some missing trees and a different color front door. I enjoyed viewing the information and thought you might be interested in doing the same on your home. Currently, I’m working on two blogs to be posted in the next week or two; updates from the February 23rd Board meeting and a University Corridor rail update. If there’s something else you would like to see, or if you can provide more information about historical information, please contact me at dbaker@richwoodplace.org. And keep in mind, the offer is always on the table if you would like to write a post! Welcome to the Richwood Place Civic Association’s blog. The developers of this site have two goals; to provide Richwood Place residents information about what is going on the neighborhood and to create an open forum for all members. 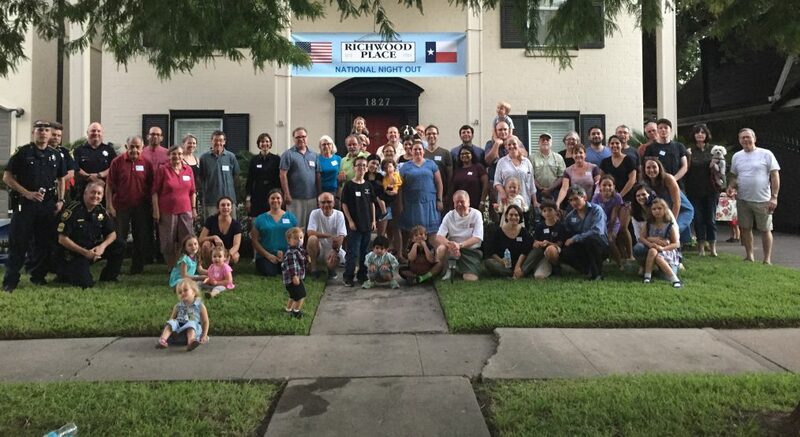 In addition to giving updates about activities in Richwood Place, the site will also be updated with information about the neighborhoods around us, known as our super neighborhood, Neartown. Check here for updates about what is going on in Neartown, including information about the University Line rail project. Finally, this site is open to all residents. If you have ideas for a post or would like to make a post, please contact our Vice President, Daniel Baker, at dbaker@richwoodplace.org for more information.